I pulled this 1987 loonie from the till a few weeks ago. 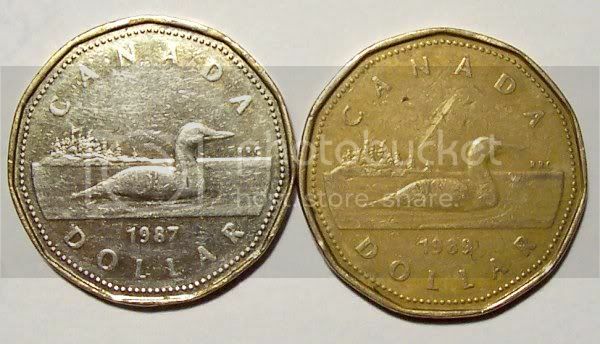 It's a lot brighter and shinier than a typical loonie from the same time period. Also, lighter in colour. The weight is correct. There's a bit of crud at the top which may have been attached to something making me think this was used as a piece of jewelry. However, it's worn but still very shiny and a different color. Where's the Heat! Where's the Passion! 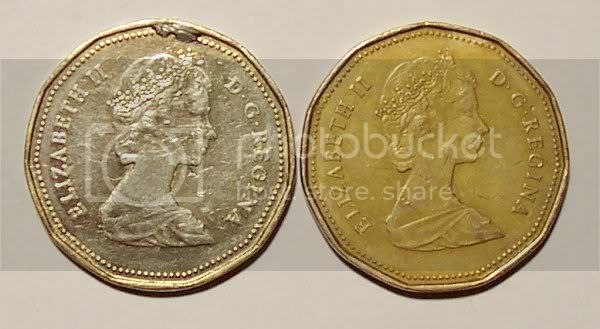 Re: Loonie- Fake or ? If we compare an UNC 1 dollar coin and a Circ. one, there's a difference with the color. If it's the same size, same weight, it's probably the same composition. You can try to scratch it to try to see the core. Larry, that must have been used as a pendant, at some time. 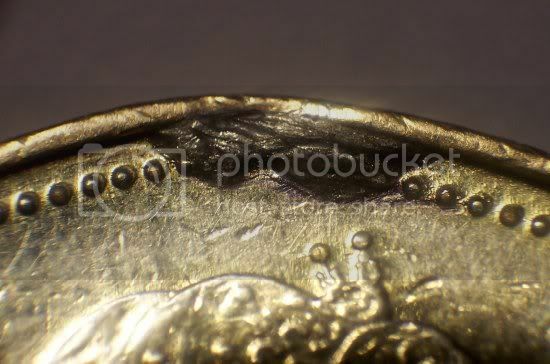 The spot at the top is definitely a heat discoloration, and the metal looks like silver-solder.